Season Greetings Straddle Leap Reflections Christmas Ball (dated 2012). 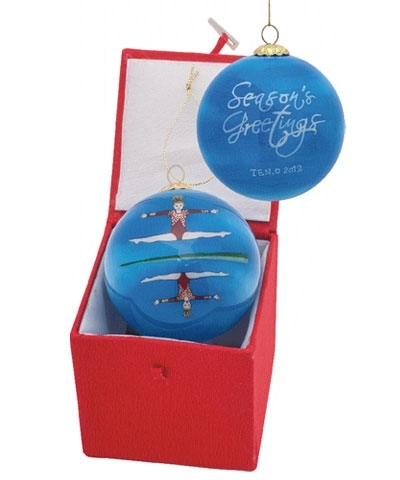 This Season Greetings ornament is a must have this Xmas season. Reflections features TEN-O's exclusive Gymnastics art work. 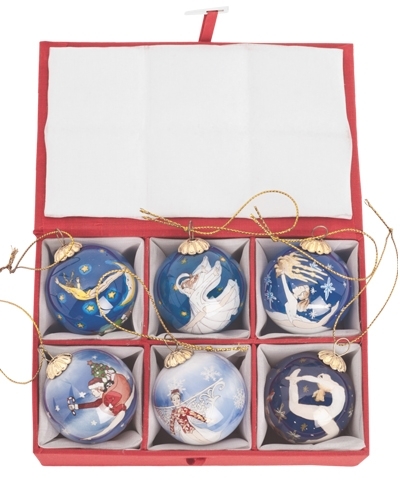 Each ornament is painted by hand on the inside using a small brush through the small top opening. Be the first to order this collectors Christmas ornament edition.